The National Economic Prosecutor is the lawyer Ricardo Riesco E., who was appointed in the position by the President of the Republic, Sebastián Piñera, after the contest carried out by the Civil Service. The National Economic Prosecutor is a lawyer of the Pontificia Universidad Católica de Chile (1994-1998), where he was approved with maximum distinction. He has a Master in Laws from Columbia University (2004-2005), United States, where he also served as visiting professor between 2017 and 2018. Ricardo Riesco has specialized in competition, litigation and arbitration, holding high positions in law firms in Chile (Claro y Cía, Eyzaguirre & Cía., Philippi Yrarrázabal Pulido & Brunner Abogados and Philippi Prietocarriroza Ferrero DU & Uría Abogados) and in the United States (Clifford Chance US LLP New York). In addition, he has worked as an academic at Chilean universities and has written and collaborated in the writing of legal articles in Chile, Spain, the United States and Ecuador. As an expert, he has also given lectures in Chile, Peru and Brazil. 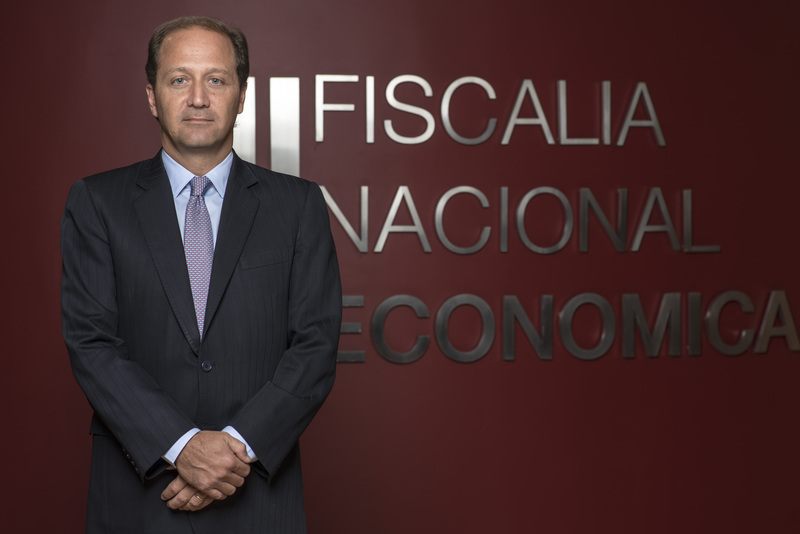 Ricardo Riesco is the eighth lawyer to occupy the position of National Economic Prosecutor. He succeeds Felipe Irarrázabal Ph., who led the institution between 2010 and 2018.